To say that it is a “buyer’s market” for oil and gas properties would be an understatement. If you want to buy production or land, prices have come down by half in many areas. This is like going fishing and having the fish swim up to your boat and beg to jump in. That’s what happens two full years into an epic oil collapse, with countless companies desperately trying to sell assets and stay alive. The Strong weed out The Weak. Now, imagine if you could hand the most knowledgeable shale man in the business $450 million and give him the green light to go shopping for the best deal he can find in this buyer’s market. That’s not a hypothetical situation. We have that exact scenario playing out in real life right now. Regular Oil and Gas Investment Bulletin readers aren’t going to be surprised at what he bought……because we have been talking about these assets for the last two weeks. Back in early March I wrote about how “the Godfather” of shale oil, former EOG Resources (EOG-NYSE) CEO and Chairman Mark Papa had launched a new company named Silver Run Acquisition Corp (SRAQU-NASD) that was loaded with $450 million of cash. You may not be familiar with the incredible value Papa created at EOG while he was CEO from 1998 – 2013. He was one of the first into both the Bakken and the Eagle Ford. The stock went up 650% over 10 years, which Forbes Magazine says was more than any other sizable U.S. oil company. In five years EOG increased its oil output at a compound annual rate of 37% to 190,000 bopd. 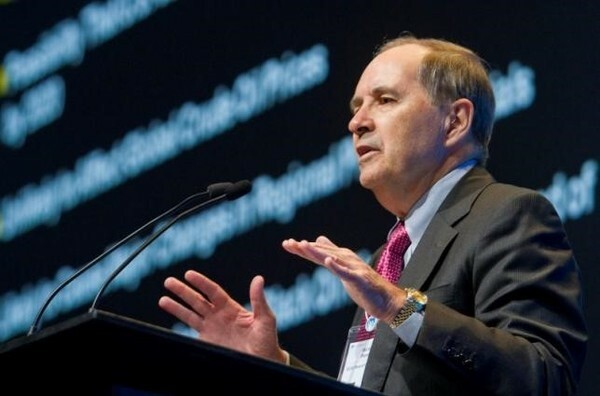 Now you have one of the Smartest Men Ever being given $450 million for one reason….to capitalize on a generational oil asset buying opportunity. Papa took his time and turned over a lot of rocks. This week we found out on what he has decided to spend some of that money. Silver Run will be investing a yet to be disclosed amount of money into the privately held Centennial Resource Development LLC. Papa will be put in full operational control of this company. This Silver Run purchase comes shortly following after private equity firm Riverstone Holdings LLC (also Silver Run’s sponsor) buying a majority stake in Centennial earlier this month. Normally getting information on a private company is difficult. This case is a little different because Centennial had filed an S-1 with the SEC back in early June disclosing an intention to go public. The recent investments by Silver Run and Riverstone would seem to put the kibosh of that IPO happening in the near term. That SEC filing and some internet sleuthing has allowed me to put together exactly what Papa is buying into. And wouldn’t you know–it is almost exactly the same assets that my subscribers and I were investing in just a week ago! 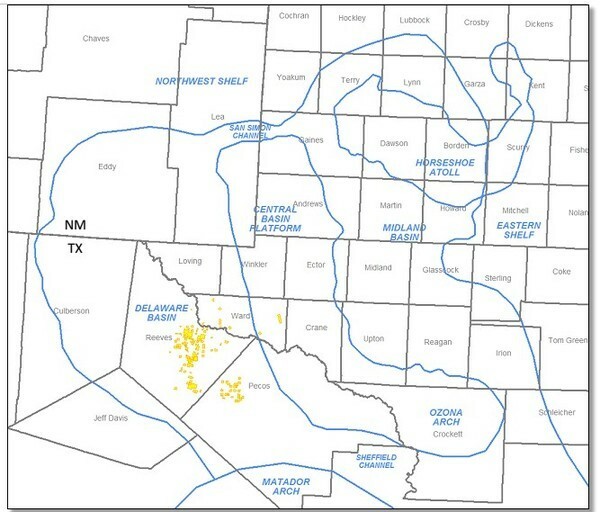 Centennial’s assets are fully concentrated in the Delaware Basin, which is the western sub-basin in the Permian Basin. The specific acreage controlled by the company is found in Reeves, Ward and Pecos counties. According to Baker Hughes, three of the top six Permian Basin counties by active horizontal rig count are located in the Delaware Basin. Reeves County, where the majority Centennial’s acreage is located had the highest number of horizontal rigs of any U.S. county as of the most recent count with 17. 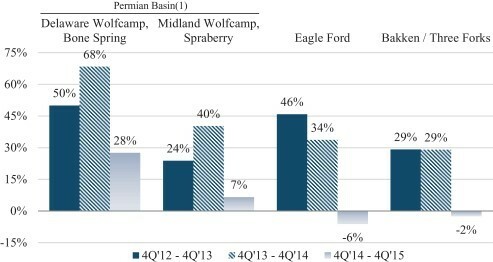 As a result of this the Delaware Basin is the only region in the United States that has experienced sustained fourth quarter-to-fourth quarter production growth rates greater than 25% for the past three years. There is a reason that the industry keeps drilling wells here while rigs are shut down at a furious pace elsewhere. It is because these are the most profitable oil wells in the United States at current (and any) oil prices. I can’t even imagine how many different assets Papa and Silver Run looked at. There are so many companies that have to sell in order to survive. But Papa chose to plant his flag in the Delaware Basin. That says the play is one of the best in the world. By sheer luck it just so happens that within the past two weeks I had found a company with a BIG acreage position not just in the Delaware Basin, but right in Reeves County where Centennial has the majority of its acreage. I recently prepared a full report on this company for my subscribers. In it I walked them through a recent offsetting acreage sale that sold at such a high valuation, the stock price of this ignored little company (with assets in exact same area!) would be worth four times its current share price just to valued at the going market rate. In other words, the stock could double tomorrow and still be only half what a very recent and relevant transaction says the ground is worth. This is no “blue-sky” valuation on my part and it wasn’t me digging through SEC filings that found it. This is a valuation directly based off of a fresh arm’s length transaction that I was alerted to by a contact of mine in the industry. As is often the case it isn’t what you know…it is who you know. Nobody would be embarrased at this company’s valuation if it doubled tomorrow. If you want to get the company symbol and report, CLICK HERE.